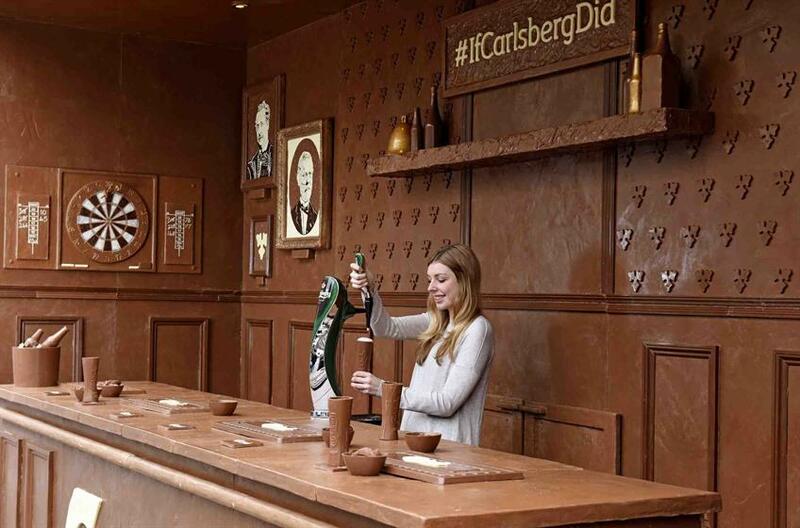 Lager brand Carlsberg unveiled its chocolate pop-up outside the Truman Brewery in Shoreditch yesterday (23 March) ahead of the Easter Bank Holiday. Everything inside the pop-up – its bar stools, dartboard and even its wallpaper – are edible. Visitors can enjoy a free half-pint of Carlsberg in an engraved milk chocolate glass until 5pm this afternoon, when Carlsberg will ring its (chocolate) bell for last orders. The activation, If Carlsberg Did Chocolate Bars, was unveiled at midday when the brand 'unwrapped' it from beneath a foil cover. Designed by food sculptor Prudence Staite, in total it took three months and nearly half a tonne of chocolate to build. Dharmesh Rana, senior brand manager at Carlsberg UK, said: "Easter is a big beer-drinking occasion for our consumers and this year we wanted to do something a bit different. 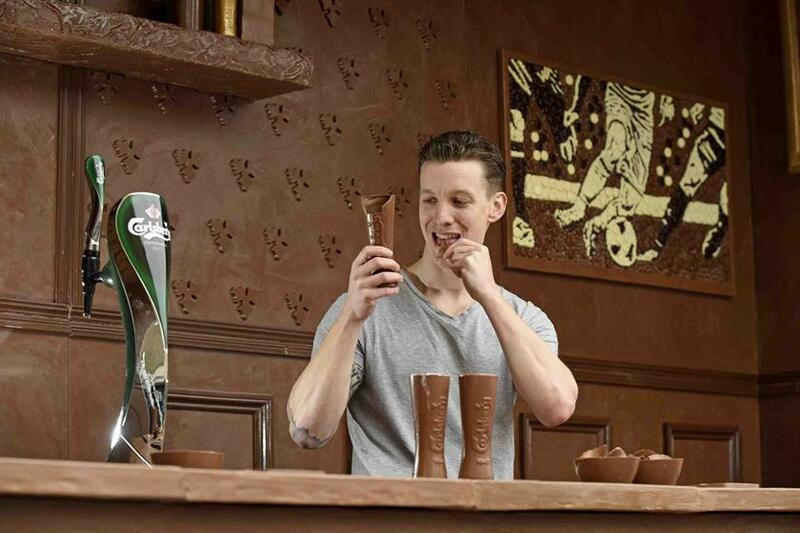 "We knew that the British public love beer and chocolate, so we’re delighted to bring them together to create probably the best bar there could be," he added. 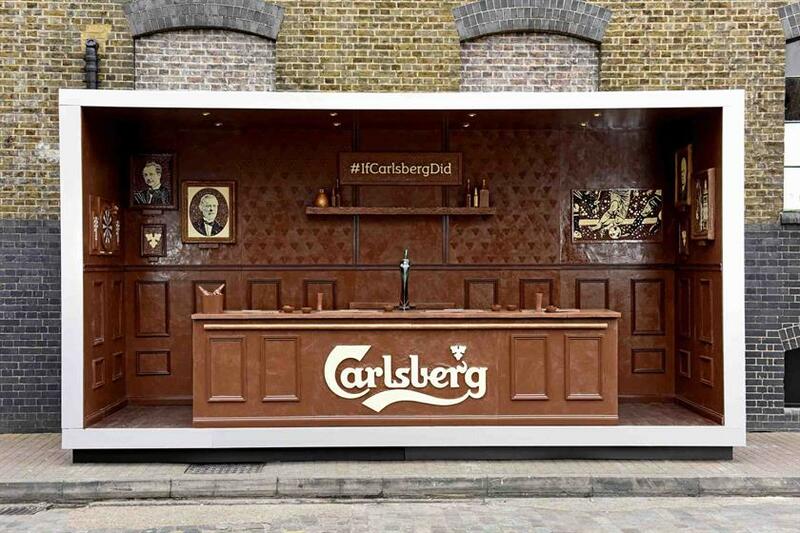 If Carlsberg Did Chocolate Bars follows the brand's beer dispensing poster, which featured in the same site last April.